Now that Star Wars' rain of terror of product endorsements is hopefully slowly coming to an end now that the movie is out, it's time for a newcomer to take over, and what better movie than Ghostbusters. 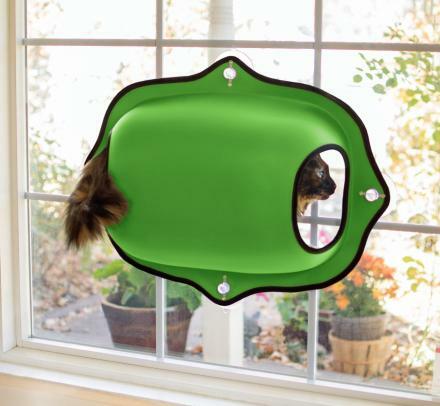 Due for a new movie release in 2016, Ghostbusters is sure to milk the product endorsements as much as they can, especially come Halloween, including this floating Slimer decoration, and this Slimer mask. 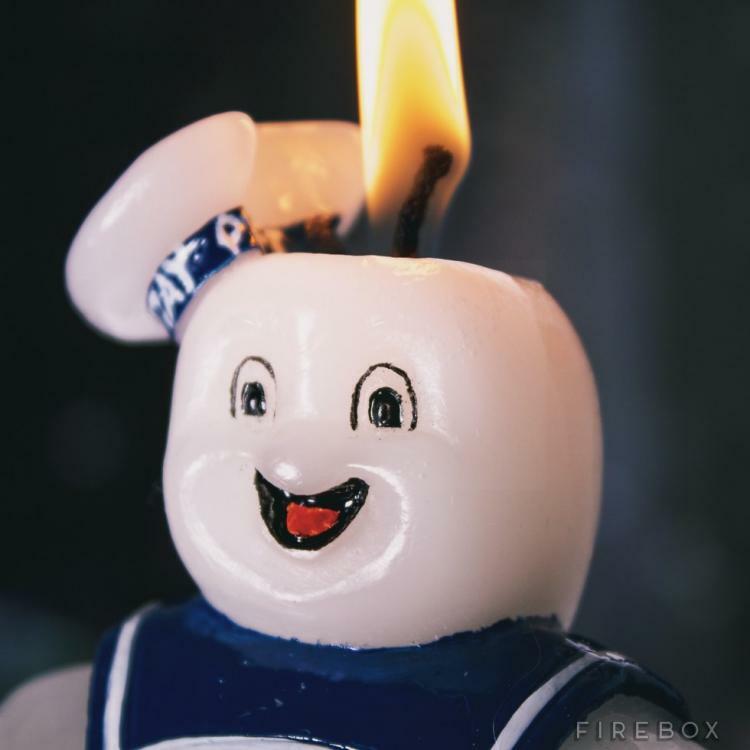 This candle is a detailed replica of the Stay Puft Marshmallow Man from Ghostbusters, and comes complete with his cute little sailor outfit as well as his happy little smile. 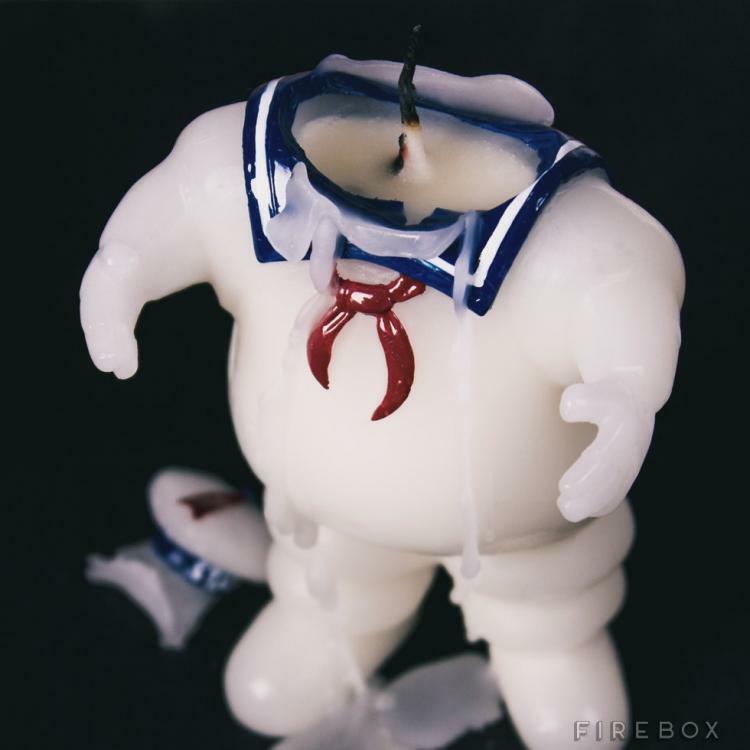 But best of all, as the candle continues to burn, his head will soon disappear and you'll soon have a headless marshmallow man candle. 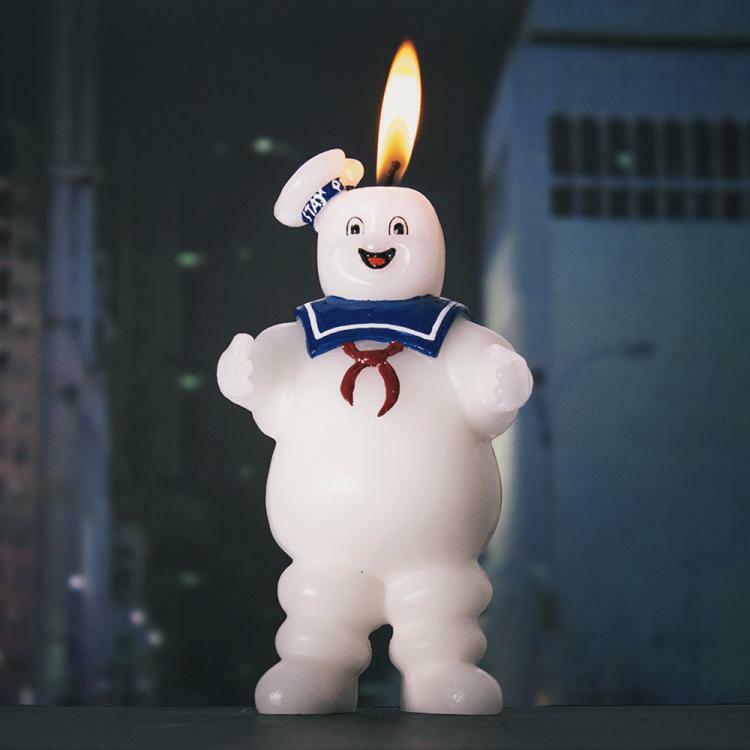 The Stay Puft Marshmallow Man candle of course has a a marshmallow scent that it disburses throughout your home as it burns, and is unfortunately not 100 feet tall and hell-bent about destroying the city as it measures just 7.87 inches tall x 4.9 inches wide x 4.9 inches thick.